Para a versão em português do artigo, clique aqui. One should look upon the forthcoming European elections against the background of the recent events in Ukraine. The protests which toppled Yanukovich and his gang were triggered by the government’s decision to give priority to good relations with Russia over the integration into the European Union. Predictably, many Leftists reacted to the news about the massive protests with their usual racist patronizing of the poor Ukrainians: how deluded they are, still idealizing Europe, not being able to see that Europe is in decline, and that joining European Union will just made Ukraine an economic colony of Western Europe sooner or later pushed into the position of Greece… What these Leftists ignore is that Ukrainians were far from blind about the reality of the European Union: they were fully aware of its troubles and disparities, their message was simply that their own situation is much worse. Europe’s problem are still rich man’s problems – remember that, in spite of the terrible predicament of Greece, African refugees are still arriving there en masse, causing the ire of Rightist patriots. But much more important is the question: what does “Europe” the Ukrainian protesters are referring to stand for? It cannot be reduced to a single vision: it spans the entire scope from nationalist and event Fascist elements up to the idea of what Etienne Balibar calls égaliberté, freedom-in-equality, the unique contribution of Europe to the global political imaginary, even if it is today more and more betrayed by the European institutions; plus, between these two poles, the naïve trust into liberal-democratic capitalism. 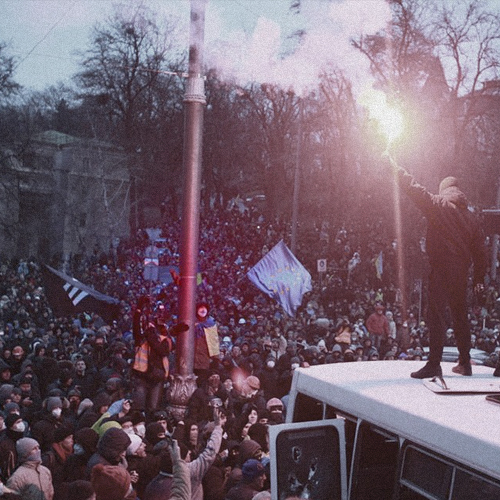 What Europe should see in Ukrainian protests is its own best and its own worst. The Ukrainian Rightist nationalism is part of a renewed anti-immigrant populist vogue which presents itself as the defense of Europe. The danger of this new Right was clearly perceived a century ago by G.K. Chesterton who, in his Orthodoxy, deployed the fundamental deadlock of the critics of religion: “Men who begin to fight the Church for the sake of freedom and humanity end by flinging away freedom and humanity if only they may fight the Church.” Does the same not hold for the advocates of religion themselves? How many fanatical defenders of religion started with ferociously attacking the contemporary secular culture and ended up forsaking any meaningful religious experience? And does the same not hold also for the recent rise of the defenders of Europe against the immigrant threat? In their zeal to protect Christian legacy, the new zealots are ready to forsake the true heart of this legacy. So yes, the Maidan protesters were heroes, but the true fight begins now, the fight for what the new Ukraine will be, and this fight will be much tougher than the fight against Putin’s intervention. The question is not if Ukraine is worthy of Europe, good enough to enter EU, but if today’s Europe is worthy of the deepest aspirations of the Ukrainians. If Ukraine will end up as a mixture of ethnic fundamentalism and liberal capitalism, with oligarchs pulling the strings, it will be as European as Russia (or Hungary) is today. Political commentators claimed that EU did not support Ukraine enough in its conflict with Russia, that the EU response to the Russian occupation and annexation of Crimea was half-hearted. But there is another kind of support which was even more missing: to offer Ukraine a feasible strategy of how to break out of its socio-economic deadlock. To do this, Europe should first transform itself and renew its pledge to the emancipatory core of its legacy. In his Notes Towards a Definition of Culture, the great conservative T.S.Eliot remarked that there are moments when the only choice is the one between sectarianism and non-belief, when the only way to keep a religion alive is to perform a sectarian split from its main corpse. This is our only chance today: only by means of a “sectarian split” from the decaying corpse of the old Europe can we keep the European legacy of égaliberté alive. Such a split should render problematic the very premises that we tend to accept as our destiny, as non-negotiable data of our predicament – the phenomenon usually designated as the global New World Order and the need, through “modernization,” to accommodate ourselves to it. To put it bluntly, if the emerging New World Order is the non-negotiable destiny for all of us, then Europe is lost, so the only solution for Europe is to take the risk and break this spell of our destiny. Only in such a new Europe could Ukraine find its place. It is not the Ukrainians who should learn from Europe, Europe itself has to learn to incorporate the dream that motivated the Maidan protesters. What message will then the Ukrainians get from the European elections? 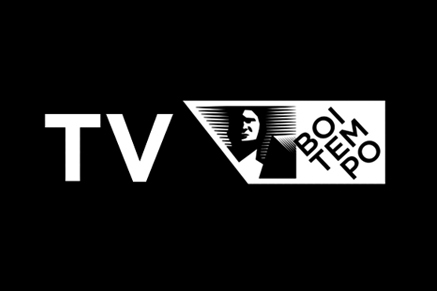 Boitempo Editorial is one of the most prestigious independent leftist publishers in Brazil: a publishing house of radical thinkers from the classics of Karl Marx, Friedrich Engels, Leon Trotski and Vladimir I.U. 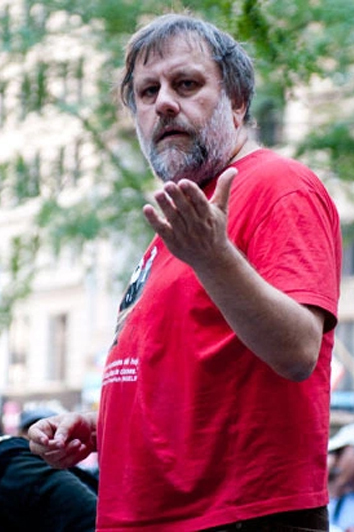 Lenin to György Lukács, István Mészáros, Slavoj Žižek, Alain Badiou, Giorgio Agamben, Perry Anderson, David Harvey, Mike Davis, Fredric Jameson and Tariq Ali. 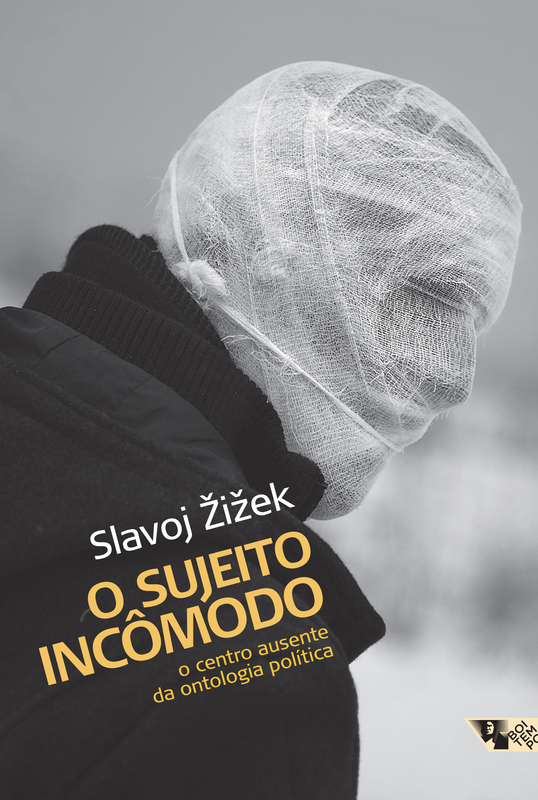 Among the Brazilian authors, Boitempo publishes some of the greatest leftist intellectuals of our time, such as Emir Sader, Leandro Konder, Franscisco de Oliveira, Maria Rita Kehl, Michael Löwy, Ricardo Antunes, Paulo Arantes and Vladimir Safatle. For Foreign Rights, visit our website or contact blog@boitempoeditorial.com.br. Yes, “vague” is french for wave!